Alex Jones On 'Losing The News,' And Why It Matters Newspapers are in trouble, and many Web sites, blogs and cable news shows have opinionated hosts at the helm. Pulitzer Prize-winning journalist Alex Jones talks about his book, Losing the News, and the crisis facing impartial reporting. Alex S. Jones has been the host of NPR's On The Media, and host and executive editor of PBS's Media Matters. 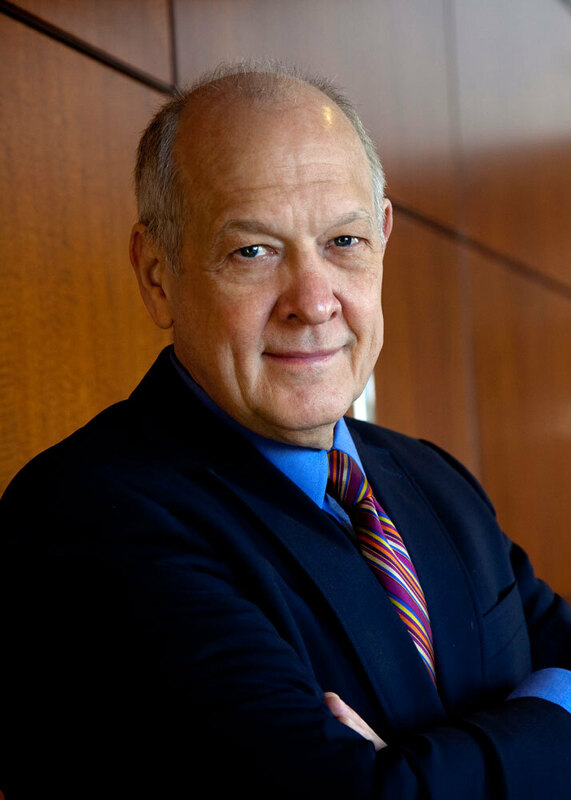 He is the director of Harvard's Shorenstein Center on the Press, Politics and Public Policy. Newspapers are in trouble, and many Web sites, blogs and cable news shows have opinionated hosts at the helm. Pulitzer Prize-winning journalist Alex Jones talks about his book, Losing the News, and the crisis facing impartial reporting. "For over a century," Jones writes, "Americans have had as a birthright a remarkably good — though far from perfect — core of reported news that is as essential to our freedom as the Constitution itself. 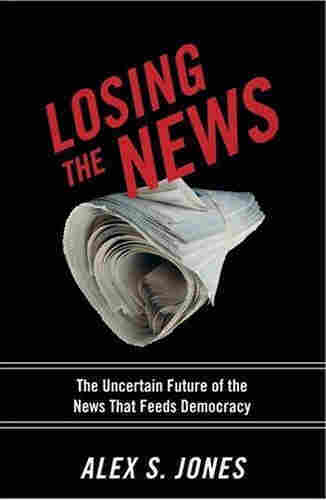 But the times we live in trigger an unsettling cascade of questions about journalism and news." He says that the outcome of the ongoing news and information revolution will be critical in shaping the nation in years to come. 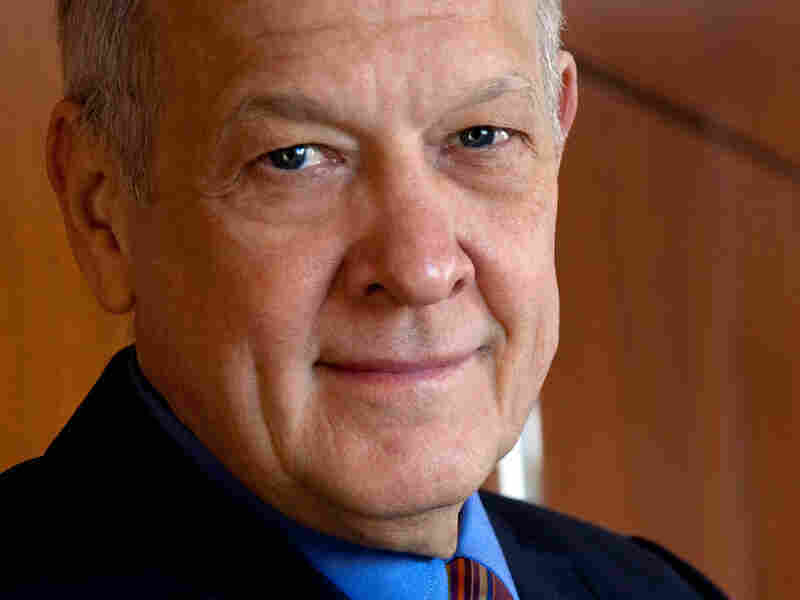 Jones is the director of Harvard's Shorenstein Center on the Press, Politics and Public Policy. He co-authored The Patriarch: The Rise and Fall of the Bingham Dynasty and The Trust:The Private and Powerful Family Behind The New York Times. Unfortunately, that meant we had to offer buyouts to some very talented people. -- Brian Kelley, editor of U.S. News & World Report, quoted by Washington.com after the magazine eliminated its investigative unit for economic reasons. Imagine a sphere of pitted iron, grey and imperfect like a large cannonball. Think of this dense, heavy ball as the total mass of each day's serious reported news, the iron core of information that is at the center of a functioning democracy. This iron core is big and unwieldy, reflecting each day's combined output of all the professional journalism done by news organizations — newspapers, radio and television news, news services such as the Associated Press and Reuters, and a few magazines. Some of its content is now created by new media, nonprofits, and even, occasionally, the supermarket tabloids, but the overwhelming majority still comes from the traditional news media. This iron core does not include Paris Hilton's latest escapade or an account of the Yankees game or the U.S. Open. It has no comics or crossword puzzle. No ads. It has no stories of puppies or weekend getaways or recipes for cooking great chili. Nor does it include advice on buying real estate, investing in an IRA, movie reviews, or diet advice. There is nothing wrong with any of these things. Indeed, pleasant and diverting stories are far more appealing to most people than the contents of the core, which some find grim, boring, or riddled with bias. It has no editorials and does not include the opinions of columnists or op-ed writers or political bloggers. These things are derived from the core. They are made possible because there is a core. Their point of departure is almost always information gleaned from the reporting that gives the core its weight, and they serve to spread awareness of the information that is in the core, to analyze it and interpret it and challenge it. Opinion writers pick and choose among what the core provides to find facts that will further an argument or advance a policy agenda. But they are outside the core, because they almost always offer commentary and personal observation, not original reporting. Inside the core is news from abroad, from coverage of the war in Iraq to articles describing the effort to save national parks in Mozambique. There is news of politics, from the White House to the mayor's office. There is an account of a public hearing on a proposal to build new ball fields and an explanation of a regional zoning concept that might affect property values. There is policy news about Medicare reform and science news about global warming. There is news of business, both innovation and scandal, and even sporting news of such things as the abuse of steroids. An account of the battle within the local school board about dress codes is there, along with the debate in the state legislature over whether intelligent design should be taught as science. The iron sphere is given extra weight by investigative reports ranging from revelations that prisoners at the county jail are being used to paint the sheriff's house to the disclosure that the government is tapping phones without warrants as part of the war on terror. What goes into this cannonball is the daily aggregation of what is sometimes called "accountability news," because it is the form of news whose purpose is to hold government and those with power accountable. This is fact-based news, sometimes called "news of verification" as opposed to the "news of assertion" that is mostly on display these days in prime time on cable news channels and in blogs. Traditional journalists have long believed that this form of fact-based accountability news is the essential food supply of democracy and that without enough of this healthy nourishment, democracy will weaken, sicken, or even fail. For more than a century, this core of reported news has been the starting place for a raucous national conversation about who we are as a people and a country. Just as the Earth is surrounded by a blanket of atmosphere, so too is this core enveloped by a thick layer of talk and opinion. The conversation — which seems more like an endless family squabble — takes place on editorial pages and in letters to the editor, in opinion columns and on Sunday morning talk shows, on The O'Reilly Factor and the radio programs of Rush Limbaugh and Don Imus, in blogs on the Internet and press releases, over dining-room tables, beside water coolers and in barrooms, in political cartoons and on The Daily Show with Jon Stewart. And in-jokes. In his first ten years as host of The Tonight Show, Jay Leno told over 18,000 political jokes, almost 4,000 of them about Bill Clinton. But for each of Leno's political jokes, the starting point was something from the core. The core also feeds the entertainment industry, which has its own powerful voice in the national conversation. The quasi-news programs on television, such as Today and 20/20, look to the core for ideas and inspiration. Some pure entertainment programs, such as The West Wing, come directly from the core, and even the silliest of sitcoms and nastiest of hip-hop lyrics are often linked to it in some murky way. No matter where the conversation about public affairs takes place, it is almost always an outgrowth of that daily iron cannonball. The biggest worry of those concerned about news is that this iron core is in jeopardy, largely because of the troubles plaguing the newspaper business. It is the nation's newspapers that provide the vast majority of iron core news. My own estimate is that 85 percent of professionally reported accountability news comes from newspapers, but I have hear guesses from credible sources that go as high as 95 percent. While people may think they get their news from television or the Web, when it comes to this kind of news, it is almost always newspapers that have done the actual reporting. Everything else is usually just a delivery system, and while resources for television news have plunged and news on commercial radio has all but disappeared, the real impact on iron core news has been from the economic ravaging of newspapers. Until now, the iron core of news has been somewhat sheltered by an economic model that was able to provide extra resources beyond what readers — and advertisers — would financially support. This kind of news is expensive to produce, especially investigative reporting. And there are indications that a lot of people aren't really interested. In the media economy of the future, cold metrics will largely determine what is spent on news. The size and quality of the iron core will be a direct reflection of what the audience for it will economically support. 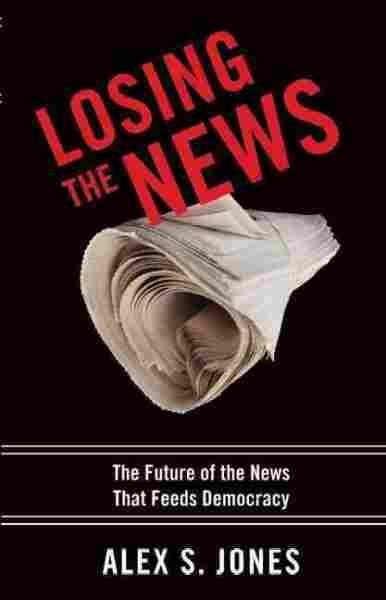 Demand will rule, and that may well mean that, as a nation, we will be losing a lot of news. There will be a bounty of talk — the news of assertion — but serious news, reported by professional journalists, is running scared. From from Losing The News by Alex S. Jones. Excerpted by permission of the publisher, Oxford University Press.